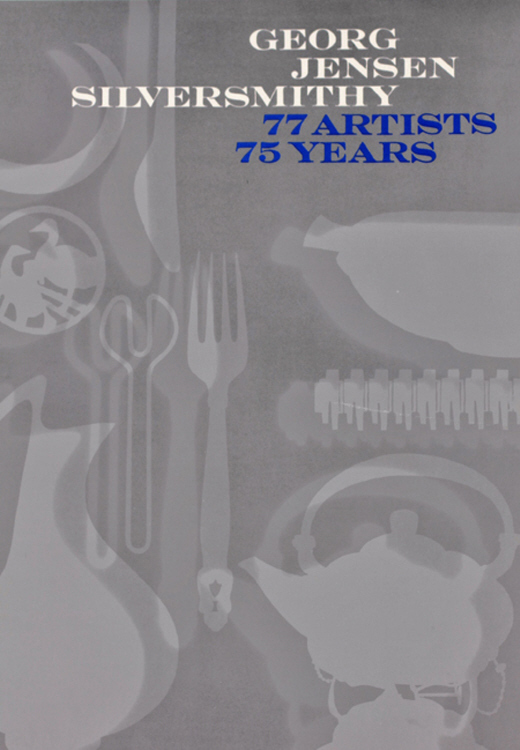 Georg Jensen Silversmithy 77 Artists, 75 Years is an 1980 exhibition catalogue from Renwick Gallery of the National Collection of Fine Art. This work has introduction by Lloyd E. Herman and an essay by Erik Lassen. The authors document the development of the Georg Jensen silversmithy by examining the broad range of works created by its designers--including jewelry, flatware, holloware, and personal and decorative objects made of silver, stainless steel, pewter, and gold. In the process they reveal Jensen's major influence on the evolution of modern design. This book is out of print and difficult to find. All copies are unread brand new, however, they have been in storage for 30+ years! Supply is limited.